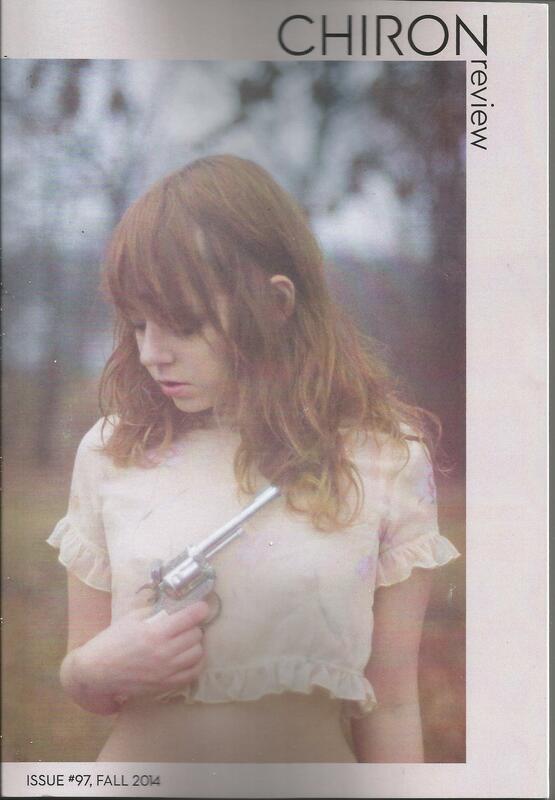 This is a post for the Insecure Writer’s Support Group blog hop. Visit the site and join up! My entire writing life it seems I have been plague by writer’s block. The times when I am NOT too blocked to get anything written are far rarer than the times I am. Writer’s block is a real condition that has been the subject of scientific study. You can read the Wikipedia article about it here: https://en.wikipedia.org/wiki/Writer%27s_block Unless they’ve replaced the text with more rainbow flags and intimidation by now. 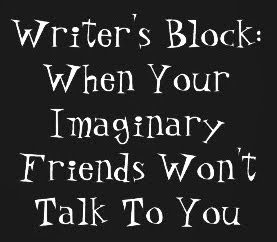 My writer’s block is like this: I may be working on a novel project and somewhere about page 50, I wake up unable to write one more word on the project. Which makes me avoid even trying after a certain point. Which leads to a period of time when I avoid even starting up my word processor because I’m paralyzed by guilt from not-writing. The 50-page mark was when it normally hit me 20 years ago. These days the most common thing is that I get blocked the second day on the project. On a project that goes on for a longer period of time, I tend to go back to the story beginning and change all my plans for the novel in question, which leads to a story with five different first chapters and no ending. I’ve tried outlining to prevent this, using several methods, but as a dedicated ‘pantser’ (like Stephen King) I just can’t work that way. A completed outline kills the project for me. Sometimes I believe the severity of my problem is linked to my Asperger’s Syndrome. This condition has included with it something called ‘executive function deficit’ which is pretty much the same thing as AD/HD. Makes it very difficult to be organized in the complex project of writing a novel. But then again, a number of writers of the past, including Herman Melville, have been alleged to have Asperger’s Syndrome and they got novels finished. My writer’s block problem does not seem to affect the writing of short poetry, or at least not very much. A number of times I’ve resolved to write a new poem every day, and I am able to do this. I haven’t continued the poem-every-day thing forever-and-ever, but that may just be because sometimes my mind needs a break. And of course the fact that for a long time I thought writing poems was counterproductive, even shameful. I’ve embraced my poet-self recently. And after a time of writing poems every morning, I also managed to complete a short story called ‘The Skin Shirt’. It will be made available in ebook form at some point in the future. I’ve also started a second story, which sort of has a ‘parable’ feel to it. I’m optimistic about finishing this one as well. So, that’s how writer’s block has affected me. Have you ever experienced writer’s block? How have you dealt with it? Could one or two of the blog readers who pass through here do me a little favor? I would like you to download my very short poetry ebook, ‘surly petunia’, and write a brief review. It doesn’t need to be a 5-star review full of praise. I’m thrilled with 3 and 4 star reviews, and even 2 stars are better than nothing. It doesn’t need to be a fancy review full of literary terms, just a few brief sentences telling what you liked, or didn’t like, about the book. 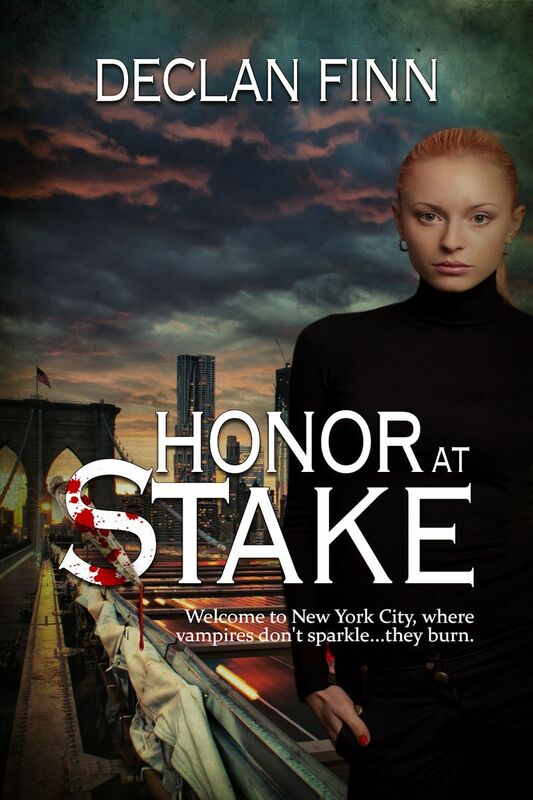 I could use reviews at Goodreads & Amazon.com, and perhaps one at Smashwords as well. Writers can dream up all sorts of reasons to be insecure. Here’s one I’m experiencing— it seems I have become the wrong kind of writer— a poet. A published poet since 1989, but still— a poet. I knew from early on what kind of writer I was going to be— a novelist. Not only that, a genre novelist. No self-involved university-approved literary fiction for me! I was going to write the sort of things that could be published, and that I could be paid for. But being a poet— not practical at all! Becoming a poet is like being the kind of person who takes out a fortune in student loans and then majors in philosophy or women’s studies. There’s no future in it. Unless you WANT to become a destitute bum. And so about the third year of writing poetry and submitting it, I stopped the poetry focus and poured all my attention into working on novel-beginnings for novels destined never to have ends. Which wasn’t particularly practical in an economic sense, either. But being an unpublished novelist seems more practical than being a published poet. I have continued in writing poetry, and have self-published a couple of poetry books. 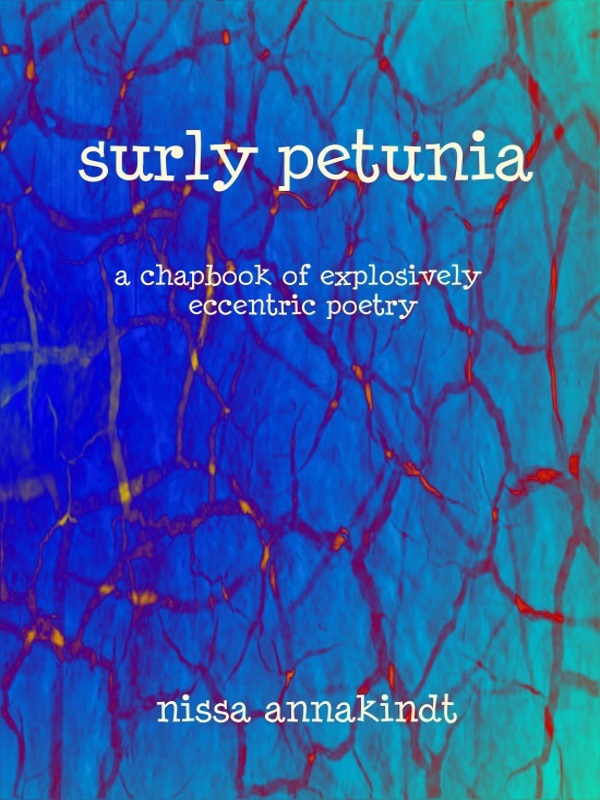 The first of them, a chapbook called surly petunia, I have reissued as an ebook which is free on Smashwords and 99 cents on Amazon.com (at least until someone tells Amazon.com about the lower Smashwords price.) I’ve also submitted to two poetry ‘zines last year and had an acceptance at Chiron Review. My goals this year call for writing a new poem every day (I write mostly short poems, both free-form and using forms such as sijo, haiku and Collum lunes), putting a new chapbook or book of poems together, and participating in the weekly ‘Poetry Pantry’ blog event at Poet’s United. I’m hoping to accept my identity as a poet, if not that as a destitute bum. I also continue my novel work. I’m coming to accept the disorganized ‘pantser’ method that is natural to me and write scenes and scene fragments in no particular order and to no plan, rather than trying to outline everything first. And I’m also incorporating poetry into my prose. In my current work-in-progress,’The Road North’, one of the two major characters is a young poet with Down’s Syndrome, and he writes poems in the short diary he’s keeping as he and his friend travel to a place of relative safety during the zombie apocalypse. My message today to other writers is to be open to accept the type of writer you are, instead of holding out for the writer you think you should be. 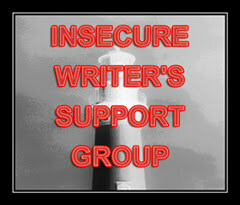 This is a post for the Insecure Writer’s Support Group blog hop, which is the first Wednesday of every month. I’ve just published a chapbook/e-book called surly petunia, containing 24 of my poems. And so I’m sharing today one of the poems from surly petunia, one that was published in HEATHENzine Aug/Sept 1990. This blog post is for Poetry Pantry #220 on Poets United. socks are underwear, after all! It will also be on Kindle, where it will cost 99 cents. (Eventually I think it will be free on Kindle because of price-matching, so if you are low on funds, wait, or else download the epub version from Smashwords and use free software ‘calibre’ to convert it to mobi/Kindle format). If anyone reading this post is thinking about producing their own book or chapbook at Smashwords or Kindle Direct Publishing, and you have questions, feel free to ask me in the comments section. Three of my poems, juror expend, drastic quotient and Red Cholera Blossoms have been published in issue #97 of Chiron Review. I’d written to the editor recently because my records stated that three of my poems had been accepted for publication there in 1990, but I never got a contributor’s copy and couldn’t afford to subscribe. He checked his records and found that the poems had not been published, but he invited me to resubmit. I sent 2 of the original poems, and because the third had gotten lost over the years, I included a sijo, Red Cholera Blossoms. All three were accepted! And so I want to encourage all poets and would-be poets out there— don’t be afraid! 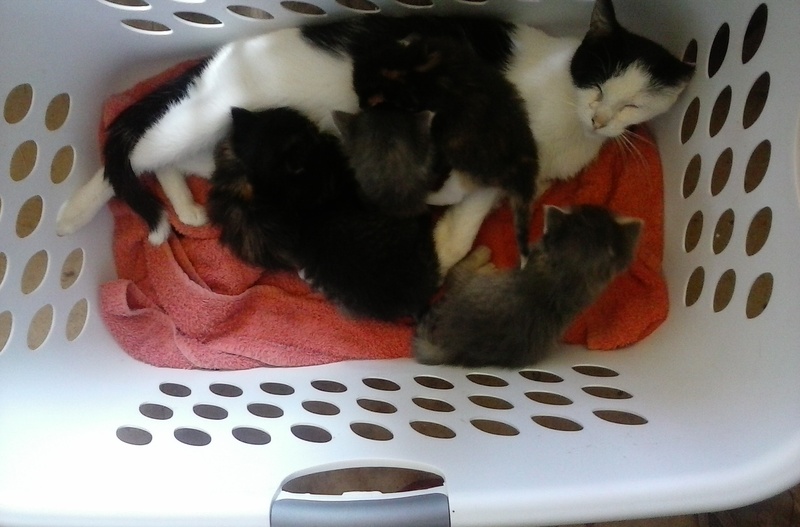 If a crazy cat lady with Asperger Syndrome can get her poems published in a cool ‘zine like Chiron Review, you can get poems published, too! Just keep writing, submitting, and improving your craft. Yes, I have an e-mail list. I’m going to be sending out updates when my books become available.